Mountain Woods Golf Club, formally Magnetic Hill Golf Club is located in Moncton NB. 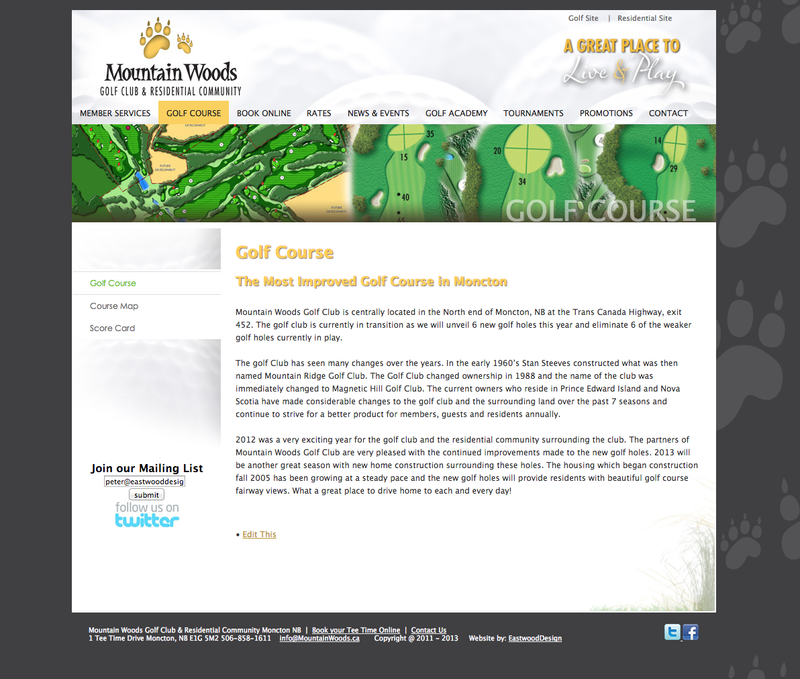 We were responsible for developing a new website for the golf course. The golf club underwent a name and brand change. The new website needed to be easy for the client to update and maintain. Updating prices, news and events were very important. The site also includes a resedential site to showcase the resedential development at the course. The project features a blog, new member registration form, and an email mailing list and newsletter system.